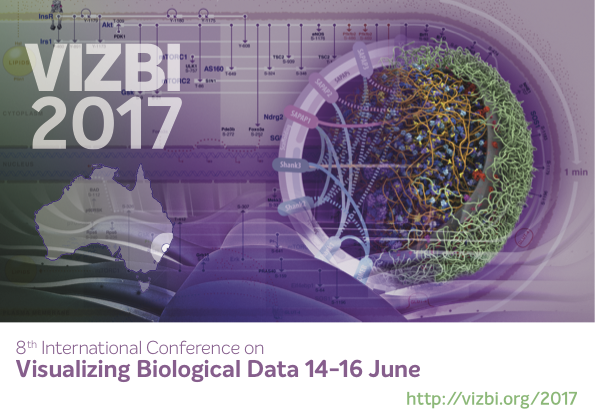 With VIZBI 2017 still two months away, there’s still time to fit in another biological visualisation meeting before coming to Sydney! 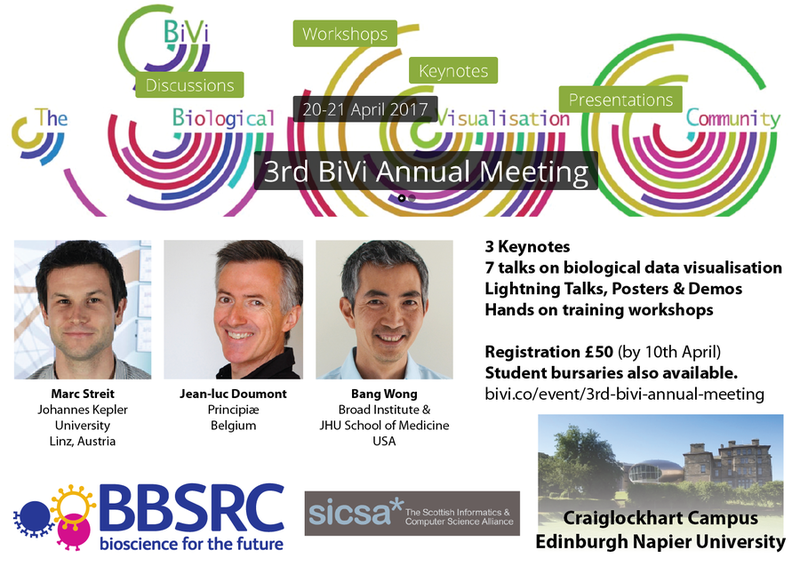 On 20th-21st April, BiVi – the UK Biological Visualisation Community will have its 3rd Annual General Meeting at Napier University, Edinburgh, UK. 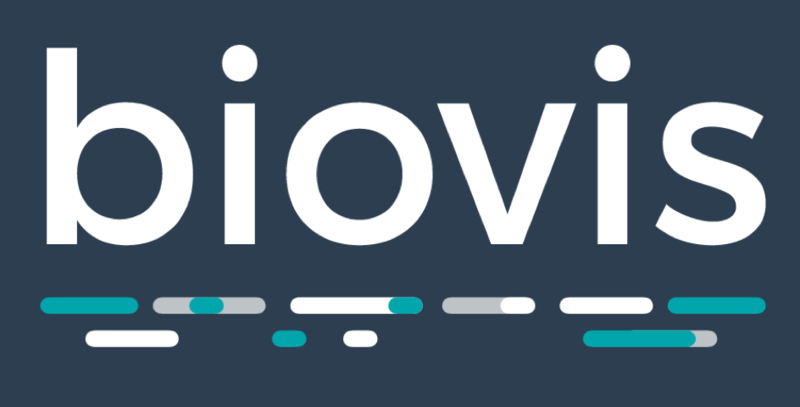 The BiVi AGM is a two day meeting funded by the UK’s Biotechnology and Biological Sciences Research Council, and the only regular meeting for UK based tool developers and researchers working in biological visualisation. 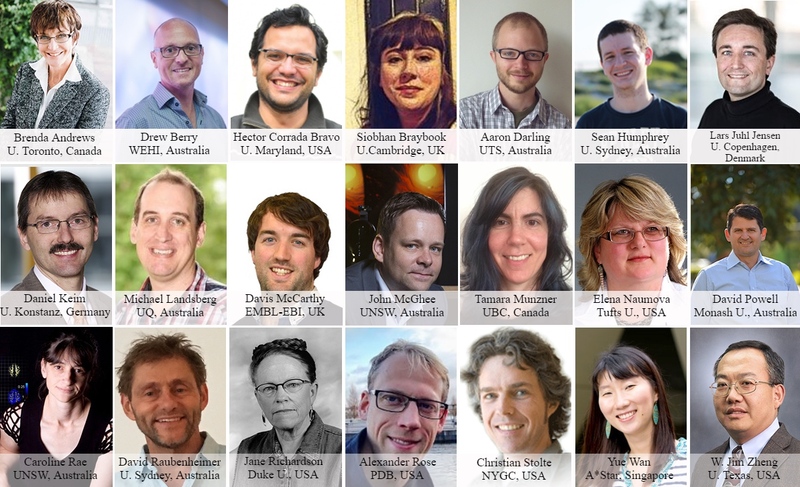 This year there will be keynotes from Jean Luc Doumont, Marc Streit and Bang Wong, and seven talks from researchers developing biological visualisation systems. Participants can also present posters and lightning talks, and sign up for hands on workshops on the second day. Registration also includes an evening reception, and student bursaries are available. There is an open position for a Biomedical Animator working with Drew Berry at the Walter and Eliza Hall Institute of Medical Research in Melbourne, Australia. ‘Think of the smallest thing you can draw. Now think smaller. 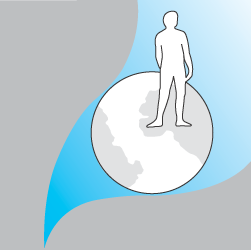 If you can visualise how one cell communicates with another, or how a parasite invades its host, and are able to use animation software to bring these processes to life for others, this is an opportunity for you.’ More info at http://www.wehi.edu.au/biomedical-animation-fellow. 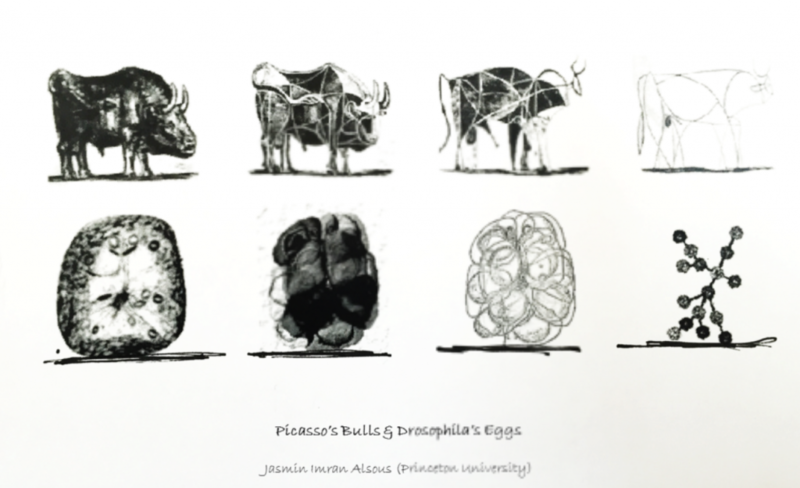 This year, the Autodesk Art and Biology Award went to Jasmin Imran Alsous for Picasso’s Bulls and Drosophila’s Eggs. This submission highlights a connection between one of Picasso’s artworks and modern techniques used for processing biological image data. 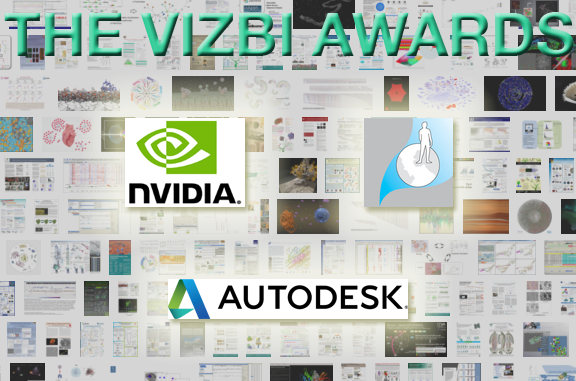 The Autodesk award is for the most popular VIZBI Art and Biology submission, and the winner receives a three-year subscription to Autodesk Maya. Well done Jasmin! 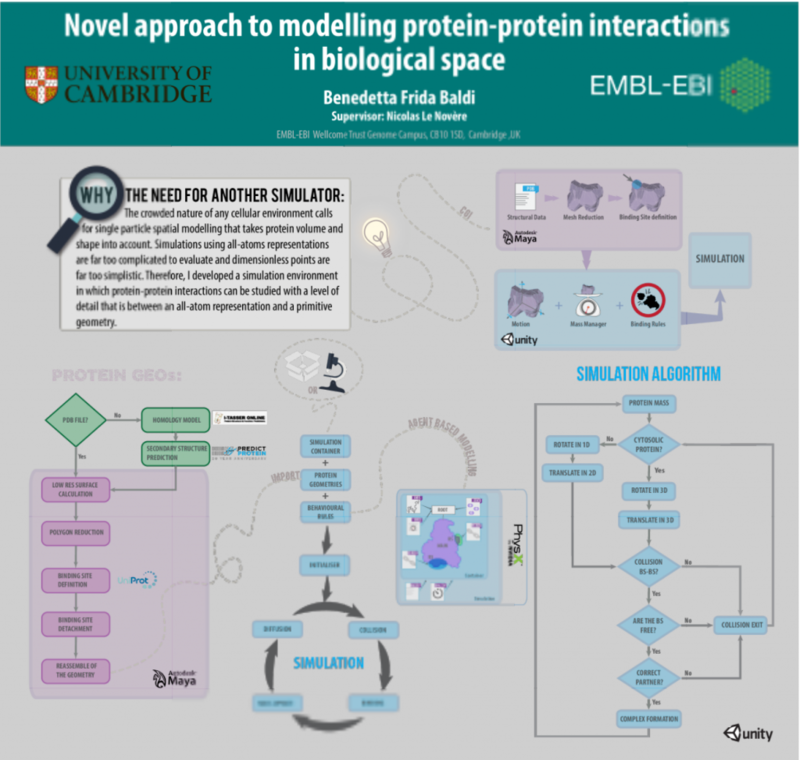 Benedetta Frida Baldi’s talk on ‘Novel approaches to modelling protein-protein interactions in biological space’ won the inaugural Fourmentin-Guilbert Foundation Award for Best Lightning Talk, based on popular vote by VIZBI 2016 participants. Benedetta explained protein interactions using a choreographed dance routine; she received a cash prize of €1,500 from the Fourmentin-Guilbert Foundation. David Ma’s “Minardo: Untangling the Hairball” won the Nature Methods Award after coming second place in the vote for best scientific poster at VIZBI 2016. Congratulations to David and co-authors Christian Stolte, James Krycer, David James, and Seán O’Donoghue. David will receive a subscription to Nature Methods. 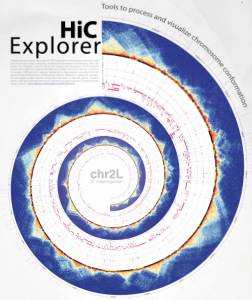 Fidel Ramírez’s innovative work ‘Hi-C Explorer: Tools to process and visualize chromosome conformation’ won the NVIDIA Best Scientific Poster Award, based on popular vote by VIZBI 2016 participants. Congratulations to Fidel and co-authors Vivek Bhardwaj and Thomas Manke – they received a Quadro M6000 video card. Slides from the second breakout session (Thursday, 10 March 2016) are available at http://vizbi.org/Lightning/2016/F. 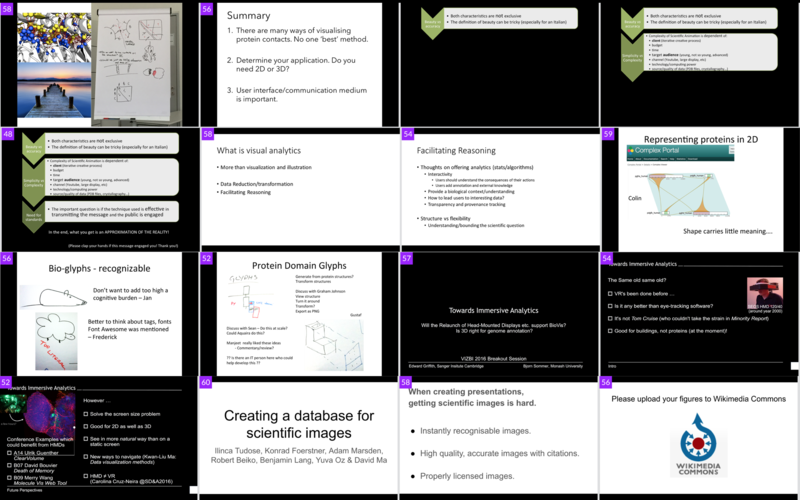 Slides from the first breakout session (Wednesday, 9 March 2016) are now available at http://vizbi.org/Lightning/2016/E. Due to popular demand, we have extended the deadline to February 26th for all Art & Biology and Scientific Posters. Submission instructions were included in your conference registration email. Remember, in order to be eligible for any of the VIZBI awards, you must have submitted your entry by the deadline. 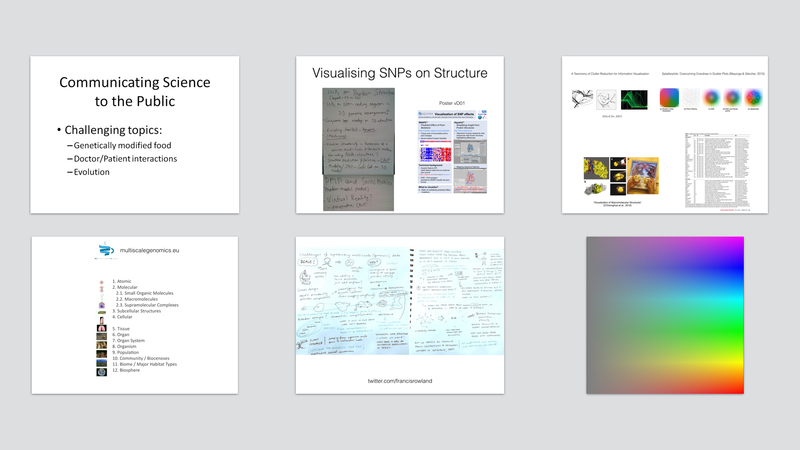 Winners of the NVIDIA Award for Best Scientific Poster, Fourmentin-Guilbert Foundation Award for Best Lightning Talk and Autodesk Art & Biology Award will be announced during the closing session on Friday 11th March. We are pleased to announce that – as with previous years – Autodesk have agreed to sponsor a prize for the most visually compelling and original ‘Art & Biology’ submission. Each VIZBI participant is invited to upload one artistically-inspired image, which will be featured on the VIZBI poster gallery. The award winner will receive a three-year subscription to Autodesk Maya (valued at $4,410 USD). Maya is widely-used for creating interactive 3D applications, video games, animated film, TV series, and visual effects. This generous prize is offered to participants from academics and industry alike, but cannot be resold. The Art & Biology entries will be unveiled during the Art & Biology evening on Thursday 10th March, and the winner will be announced on 11th March during the closing session. 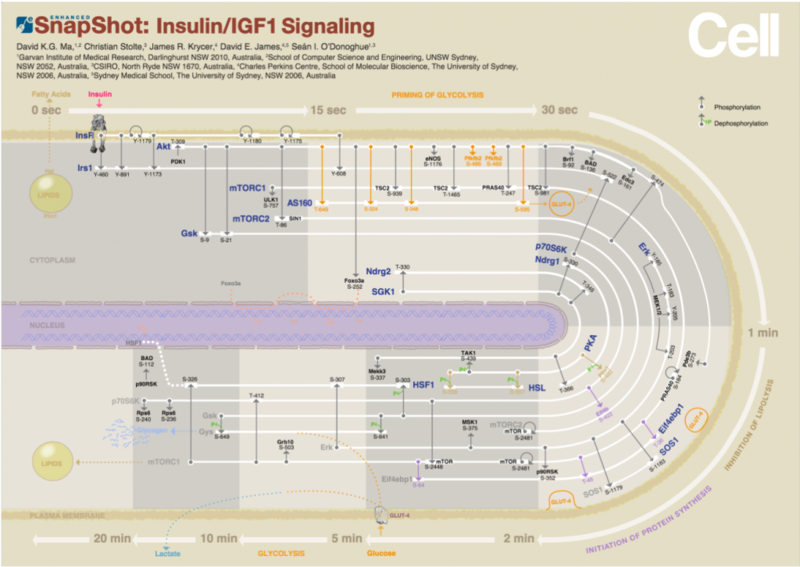 For details see the VIZBI 2016 poster page. The deadline for upload is February 26 at 23:59 CET (deadline has been extended). Fred Brooks is the Kenan Professor of Computer Science at the University of North Carolina at Chapel Hill. He is best known for leading development of IBM’s System/360 family of computers and support software, which in turn led to the 8-bit byte. His reflections on this process resulted the best-seller ‘The Mythical Man-Month’. 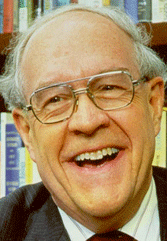 Brooks has received many awards, including the National Medal of Technology (1985) and the Turing Award (1999). In the 1990s he collaborated with Jane and David Richardson on pioneering work in molecular graphics on the representation of protein structures. 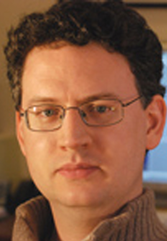 Gaël McGill is Director of Molecular Visualization at Harvard Medical School and also leader of Digizyme, a company focused on visualization and communication of science. 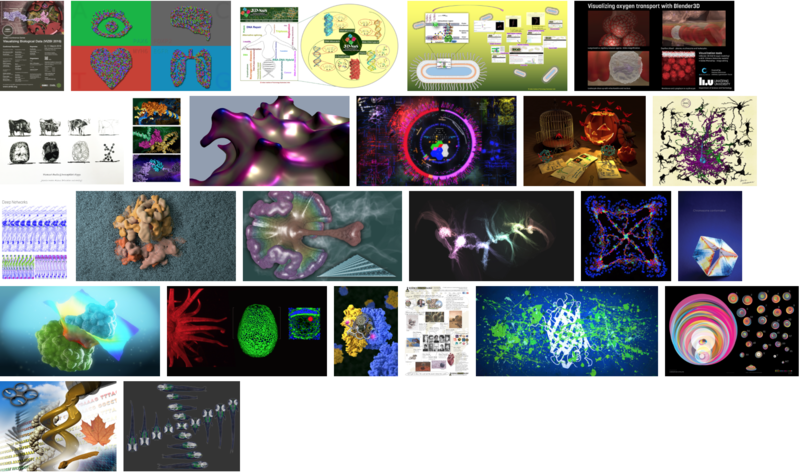 McGill has created the scientific visualization online community portal Clarafi.com (originally molecularmovies.com), the software toolkit Molecular Maya, and has contributed to leading textbooks on Maya and ZBrush. Recently, he was also digital director for E.O. Wilson’s Life on Earth iPad biology textbook developed in partnership with Apple. Kwan-Liu Ma is a Professor of Computer Science at the University of California-Davis, where he directs VIDI Labs and UC Davis Center of Excellence for Visualization. 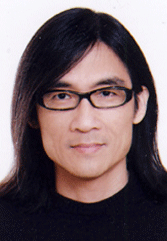 His research spans the fields of scientific visualization, information visualization, visual analytics, visualization for storytelling, visualization interface design, and volume visualization. Ma received the NSF Presidential Early-Career Research Award (2000), is an elected IEEE Fellow (2012), and winner of the 2013 IEEE VGTC Visualization Technical Achievement Award for outstanding research.